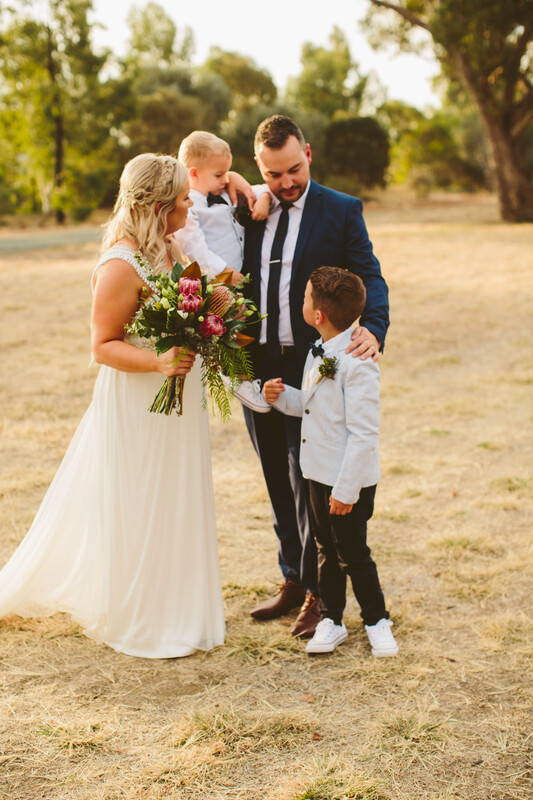 Family and friends travelled from all over Australia to celebrate Bree McHugh and Joel Garner tying the knot after 16 years, and two children, together. 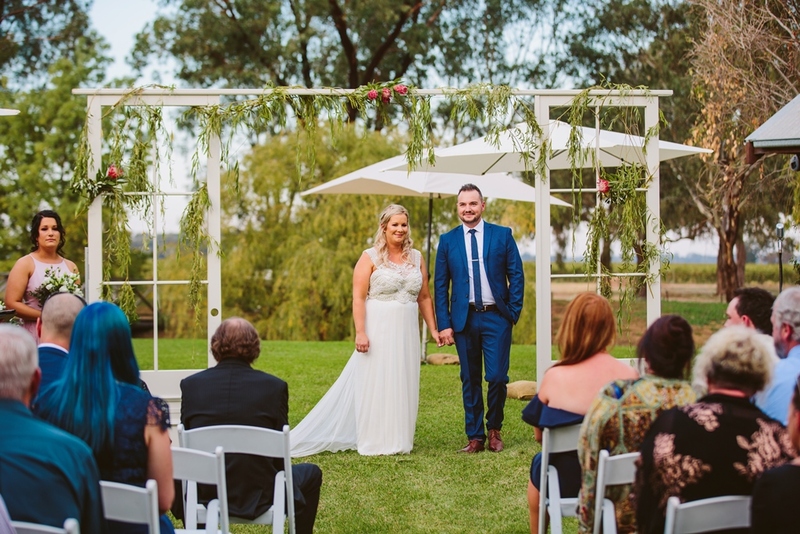 The couple wanted a relaxed vintage, vineyard vibe and the conservatory garden room at Radcliffe’s, Echuca was the perfect venue for guests to mingle during the cocktail-style reception. 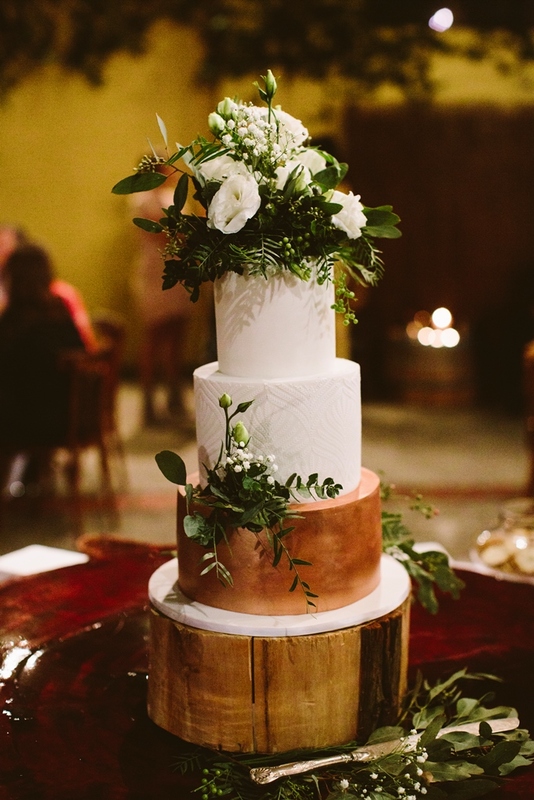 The couple loved every step of planning the wedding and, in hindsight, would have organised a two-day event. “It went way too quickly for our liking. 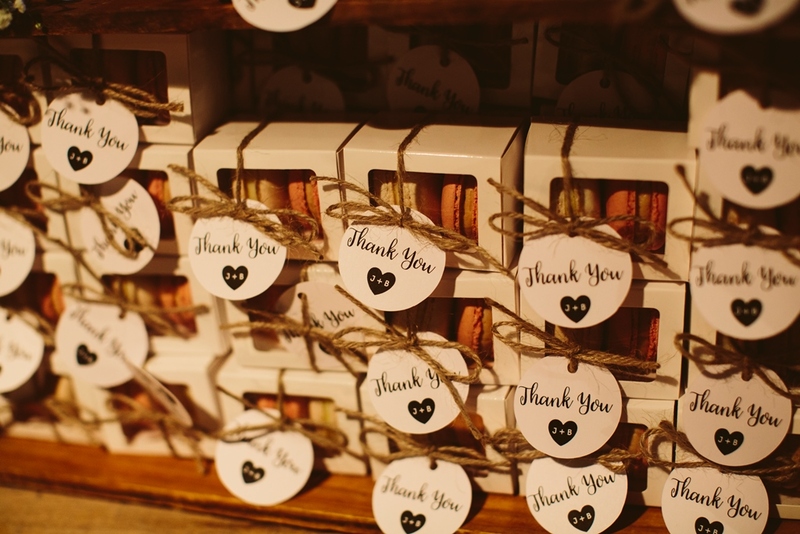 Make every moment last and take five minutes to sit with your new husband or wife and take it all in, look around at the people who are there to celebrate you and what an impact they have all had on your life,” Bree said. 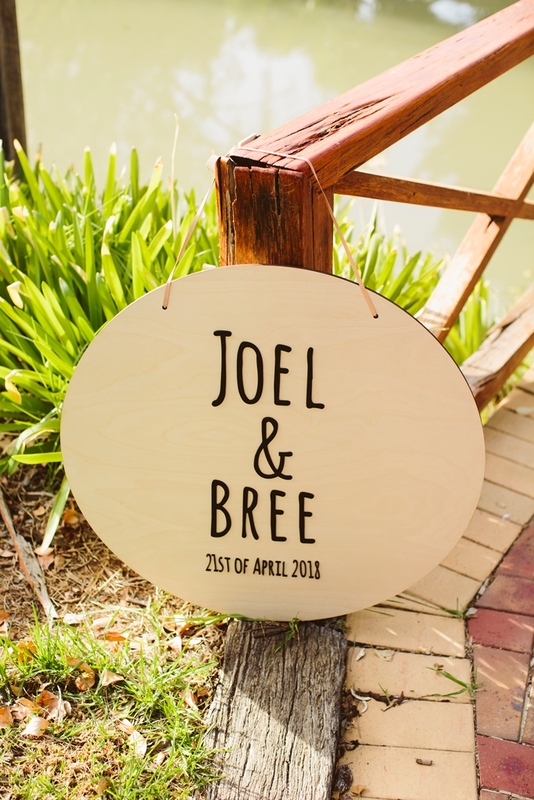 For Bree and Joel, their wedding day was all about celebrating with the most important people in their lives and they included several personal touches. 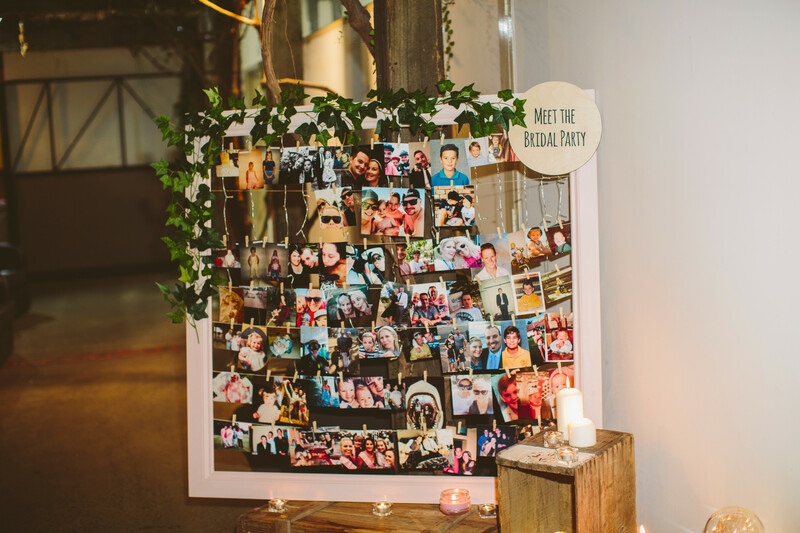 At the reception, a timber frame was strung with photos showing the newlyweds with members of their bridal party throughout their many years of friendship. 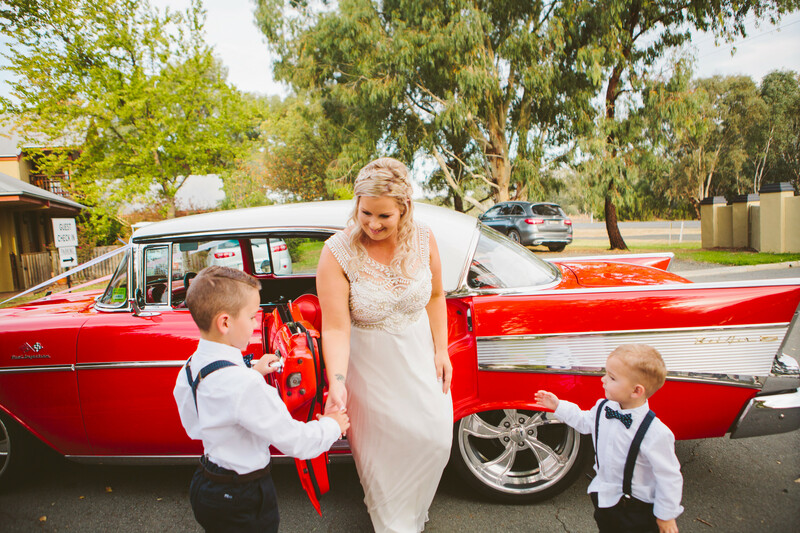 A bold red 1957 Chevrolet, a prized possession of a friend, transported the bride in style for the romantic ceremony. 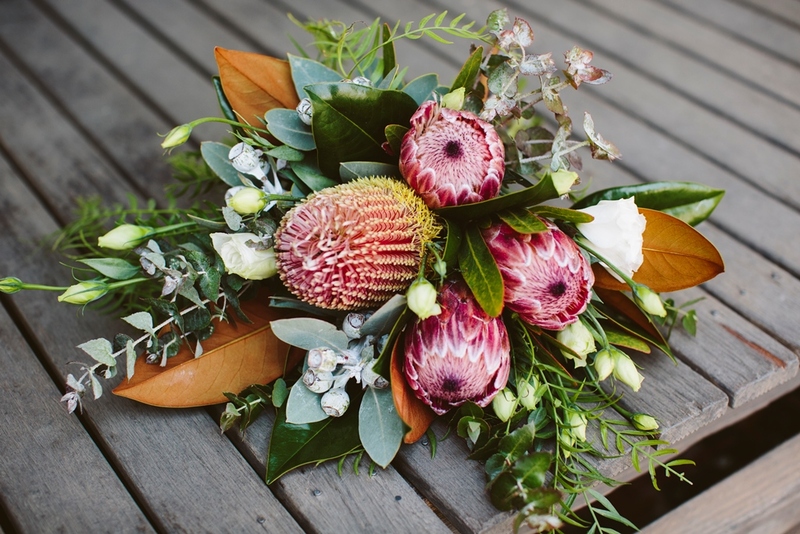 The car wasn’t the only American touch; the couple fulfilled a long-held dream to visit New York by jetting off to The Big Apple for the honeymoon. 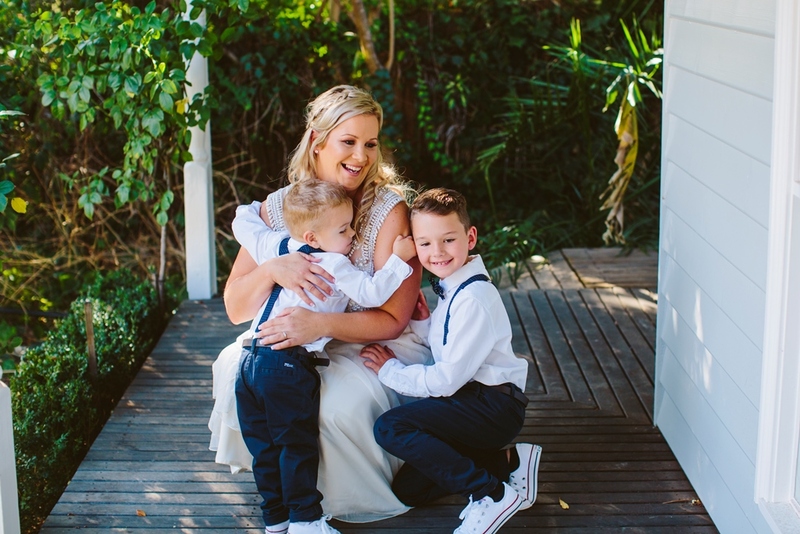 Bree and Joel’s two young sons, Ethan and Oliver, played important roles on their parents’ special day. 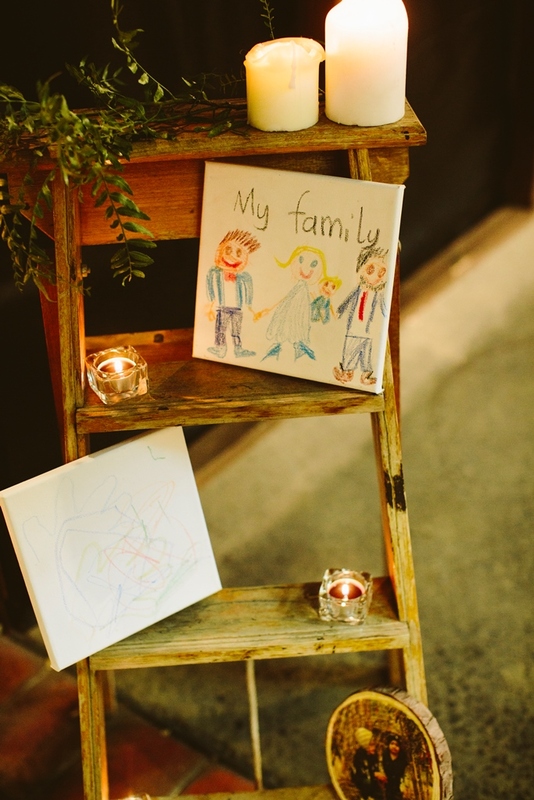 Ethan, aged just seven, walked his mother down the aisle and made the first speech at the wedding reception, while two-year-old Oliver held his parents’ hands as they exchanged their wedding vows. 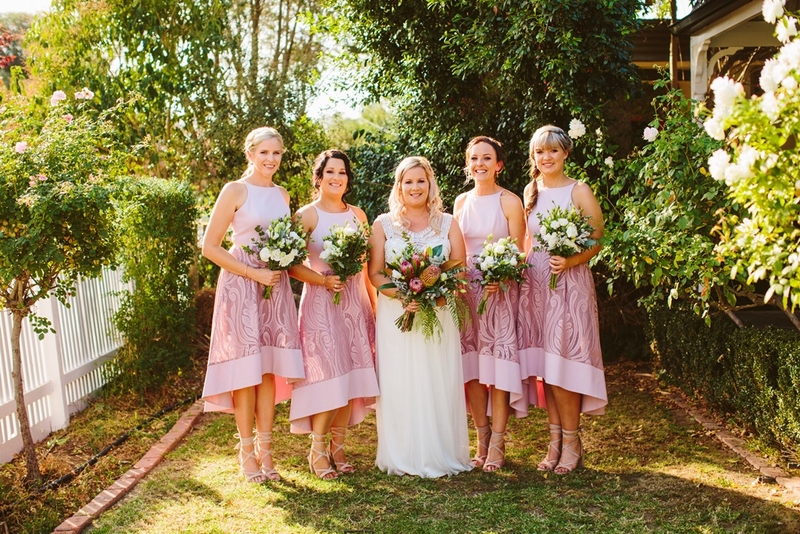 See more photos from Bree and Joel's wedding day over on our Instagram.